A new twist on one of our best selling gifts just for Valentine's Day! A delicious gesture in gourmet gift giving. 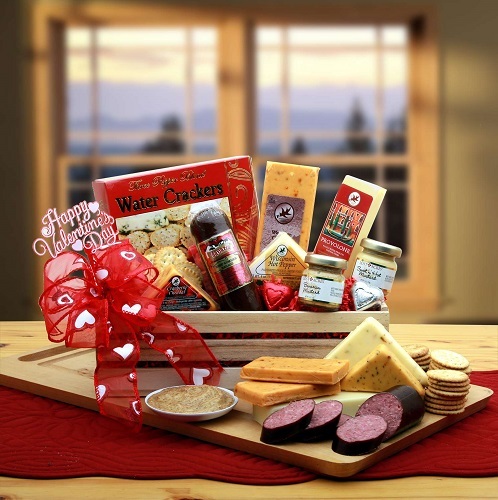 This unique pine crate is filled with savory cheeses, sausage and crackers. A unique way to show your Valentine how much you love them.